Que le den por culo a la reunion, larga vida al filipino!!! Carabirubi escribió: Que le den por culo a la reunion, larga vida al filipino!!! El anterior (hay nuevo por lo que leo) me flipó. Y mi hermano, que lo vió en el Kobeta, flipó con el canijo filipino. @dantes escribió: Kei ¿Ese quien es? El concierto que dieron en el Kobetas fue buenísimo, de larrrrrrrrgo lo mejor de esa edición de festival. normal, que manera de comandar un show, espectacular!! ¿Como va champion? ¿Te pasas alguna vez por el pasadizo? Pd.¡Tenias razon,se esta bien por aqui! Que va, hace mucho que no paso. El tiempo de foreo lo dedico a este y a uno de coleccionistas de Star Wars. Tb he bajado mucho el ritmo de visionado de pelis, una lástima, pero no hay tiempo para todo. En Pasadizo lo pasaba muy bien y aprendí mucho pero tanto profesional y tanta gente que dominaba tanto me cohibía un poco. Era muy dificil aportar algo al foro. Since his departure from Journey in 1998, former vocalist Steve Perry has been absent both from the concert stage and the recording studio. But in a new interview, Perry reveals that he’s got quite a bit of material done, and is working to complete construction on a home studio with the aim to develop and finally record some new songs. He’s also made peace with the fact that his former group continues to perform without him. A new album from Perry would be his first solo release in nearly 20 years – his last album, ‘For The Love Of Strange Medicine,’ was released in 1994. He reunited briefly with his old bandmates for a new Journey album, ‘Trial By Fire,’ in 1996 but parted ways with them again a short time later due to a hip injury that kept him from being able to tour. Since then, he’s been mainly engaged in overseeing archival releases from the band, including the upcoming vinyl editions of ‘Greatest Hits’ and the new ‘Greatest Hits Vol. 2 (both will be released on Tuesday, Nov. 1). He gave an extremely rare interview to Melodicrock.com about the new vinyl releases and also dug deep into the band’s history. New material from the legendary singer has been rumored in recent years, and Perry says that the pieces are finally falling into place for him to be able to record the material he’s been working on, but there’s still one barrier that might keep fans from hearing new songs. Journey tiene demasiados discos y, proporcionalmente, me molan unos pocos. Survivor tiene una discografía menos extensa y me molan la mayoría de los discos. Escucho bastante mas Survivor que Journey. 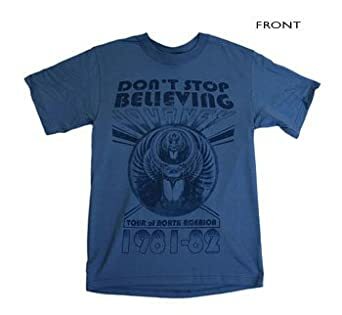 Pero claro, a nivel de temazos, Journey se lleva la palma con Who's Crying Now, Don't Stop Believin o Lights. @káiser escribió: Lovin Journey is easy. Journey‘s recent rash of unfortunate lawsuits and bizarre paparazzi drama looks like it isn’t over yet: According to TMZ, drummer Deen Castronovo was arrested in Oregon over the weekend for allegedly assaulting his girlfriend. After what’s being described as “a heated argument that turned physical,” Castronovo was booked on a long list of charges that include coercion, fourth-degree assault, criminal mischief in the second degree, interfering with making a report, and harassment. Sources say there were actually two fights — the one that led to the initial assault, and another tussle that occurred after Castronovo followed his girlfriend out of the house and refused to let her contact her father. A former member of Bad English and in-demand session player for artists such as Ozzy Osbourne and Steve Vai, Castronovo joined Journey in 1998. The band has issued no formal statement regarding the arrest. Journey hasta la muerte, cojones. @thejesu escribió: Journey hasta la muerte, cojones. Yo iría, el Filipino lo hace muy bien !!!! YA ESTAS COMPRANDO ENTRADA!!! EL FILIPINO ES LA PUTA OSTIA!!! No jodas, coño!!! Lo miraré muy seriamente, entonces. Los Journey de hoy en día, con el "filipino" Arnel Pineda merecen y mucho la pena en directo. Para demostrarlo ahí está el magnífico dvd "Live in Manila". Hace unos pocos años tocaron en Bilbo con Pineda y fue bestial................¡¡¡¡ Colega no te lo pienses más y vete al show !!!!!! Don't stop believin en directo en Manila...... ¡¡¡¡¡ Descomunal !!!!! El concierto que dieron en el Kobetasonic fue de escandalo, es un autentico showman el filipo. A ver si hacen algunos shows más que esas fechas me coinciden con el viaje de novios, que mejor regalo siendo mi futura journeyhead. Journey, Pat Benatar, Neil Giraldo, Loverboy. weee! yo veo eso mismo el 17 de agostoooo! y el 16 a Hank Williams Jr. y George Thorogood... arf y de gratis ese mismo dia estan Cinderella, arf arf! Could Journey be calling it quits? Maybe not, according to guitarist Neal Schon, but he’s definitely had thoughts about how he wants to go out on a sustained high note. In a new interview, he reveals that he’s open to having former lead singer Steve Perry join them band for one last go-round. Schon also said that current lead singer Arnel Pineda would not have a problem with the idea of Perry sitting in with his old band. Based on Perry’s recent comments on the relationship between himself and Schon, it seems Pineda’s not in much danger.